As a graphic designer, everything needs to be visually appealing to me. It’s important for my brand to have a cohesiveness throughout all of my marketing, especially my social media. I’ve helped create branding for social media while Rae helped manage some of our clients’ social media accounts. 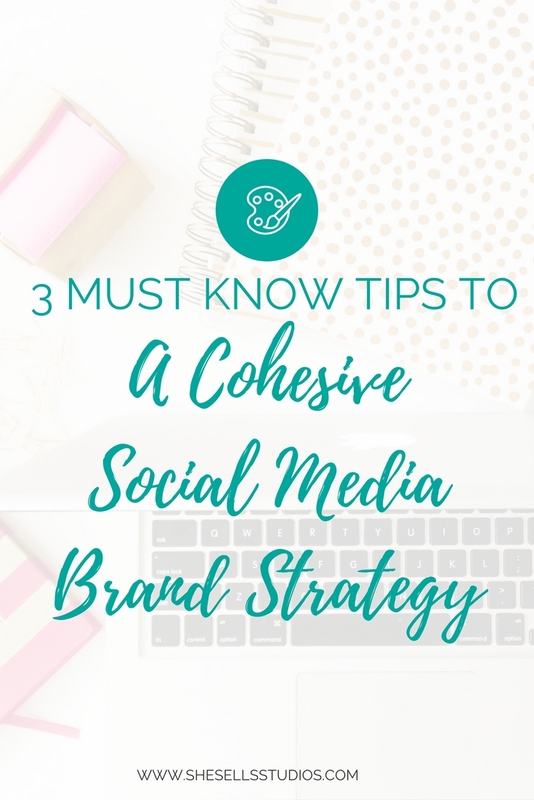 Over time, I have realized some people have trouble on how they can incorporate a consistent brand throughout all of their social media accounts. Here are the top techniques to having a consistent branding in you social media accounts. It’s pretty simple. Use the fonts from your logo throughout all of your marketing and your brand will be represented. When using fonts, try not to use more than 2 or 3 different fonts at a time. It can get confusing and hard to read. I usually like to pair a serif font with a sans serif font. Or a brush/calligraphic font with a simple modern or simple traditional font. 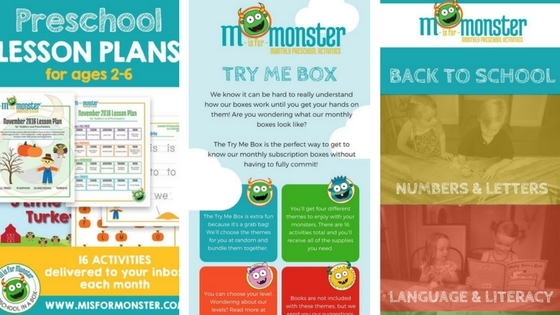 M is for Monster is a preschool subscription Box company and uses social media to attract new customers. If you were to look at their social media advertising, they mostly all use the same fun child drawn font. Use the same color palette. 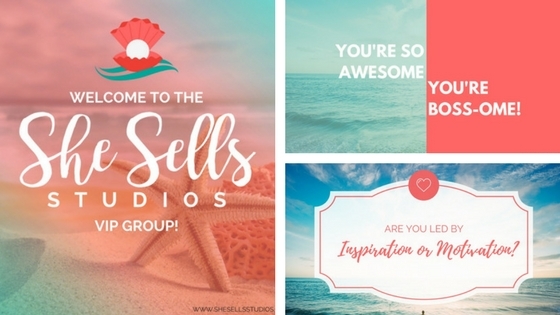 Using the same color palettes in your branding, especially paired with using your brand fonts, can help to unify all of your social media marketing. Again, try to keep the amount of colors to a limited number. 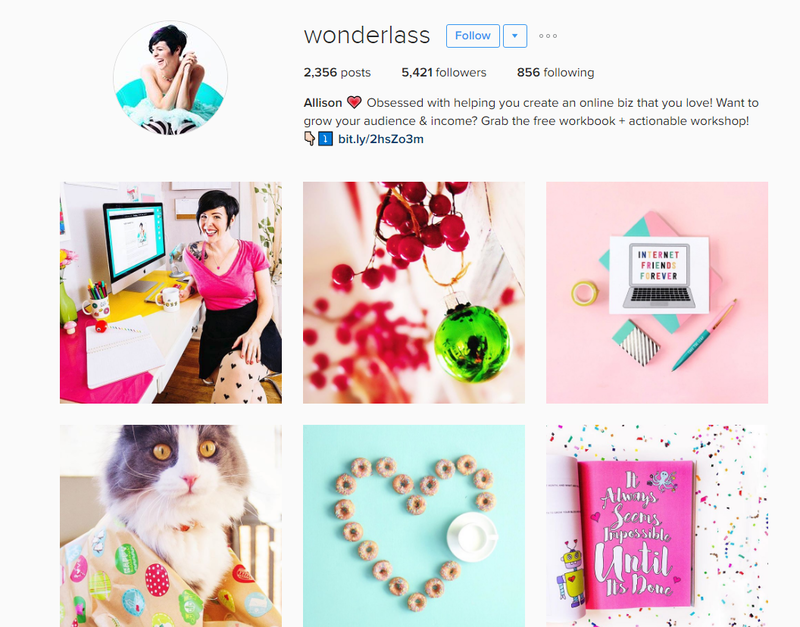 Allison from Wonderlass is great at incorporating her love of the fun and bright colors of your branding into her Instagram photos. Use an image that is important to your business. Whether it’s your logo or another image that represents your business, using a consistent theme or similar image throughout all of your social media graphics can help bring your branding together. 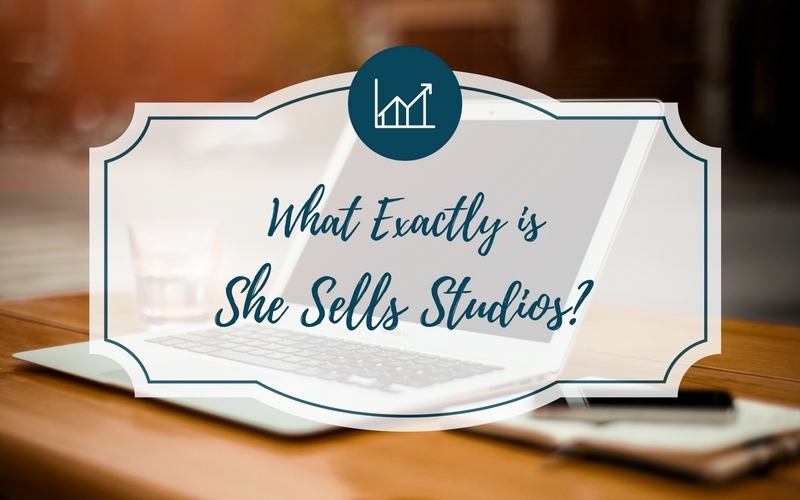 For example, our business is She Sells Studios and our logo is a sea sell. So in some of our social media graphics, we use pictures of the beach or sea shells. Here are some of our graphics where we incorporate the ocean, our colors, and our fonts. Also, make sure you use the same avatar throughout all of your social media accounts. People should be able to see your logo and know it’s your company right away. Using these three techniques separately can help to increase your brand awareness, but what I have found that works best is using at least 2 of these tips together. To give you an idea, say you want to share a photo with your Instagram followers. If you just want to use the image, try to find or take a photo where your brand colors are already used. In addition, try to use an image where the graphic can represent your business. Or, what if you want to include an inspiring quote with the graphic. 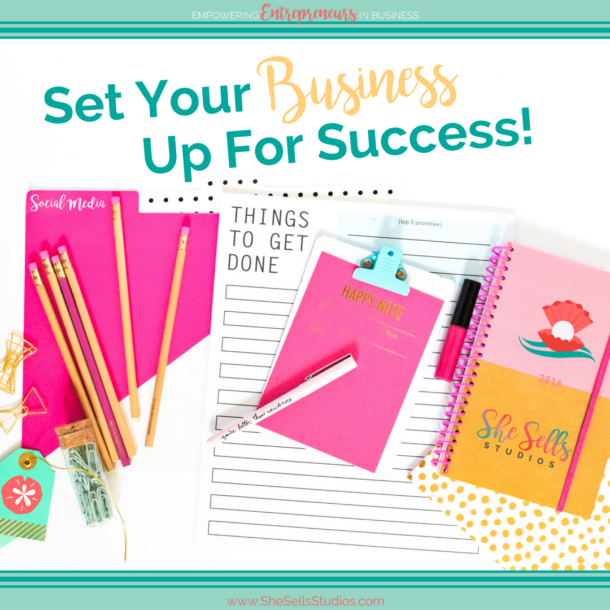 Again, you use a graphic that represents your business and pair it with your branding fonts. 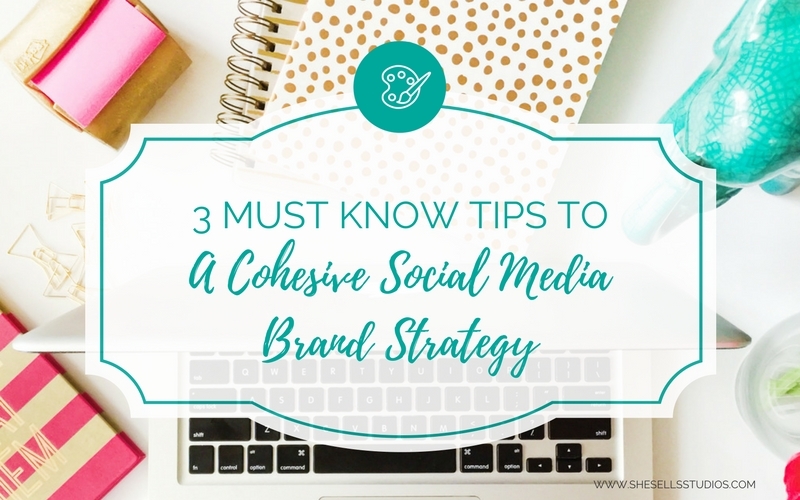 What do you do to keep your branding cohesive in your social media accounts? 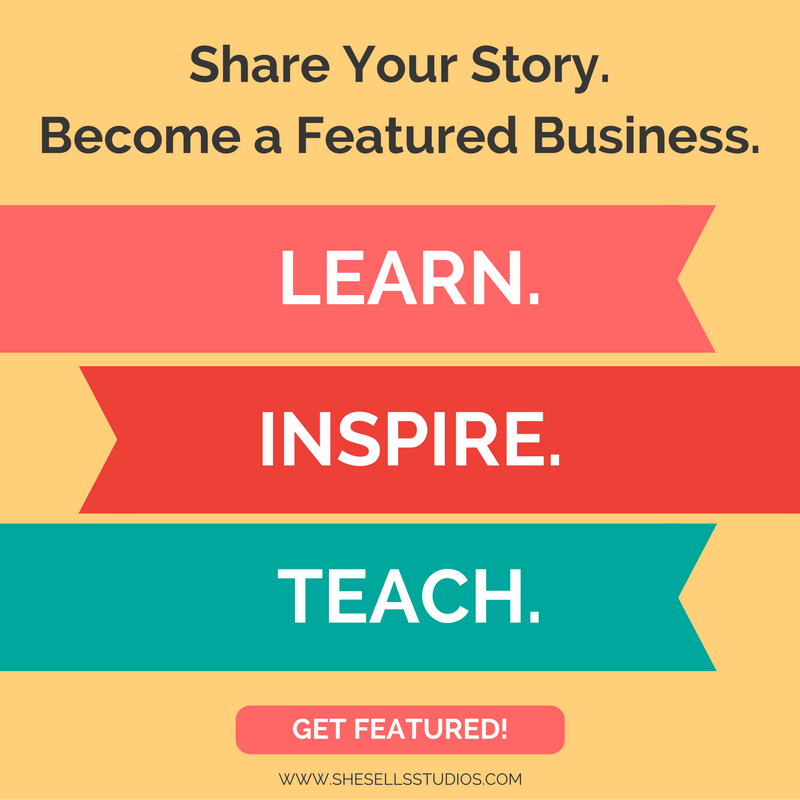 Please feel free to share your social media accounts and your branding strategy! 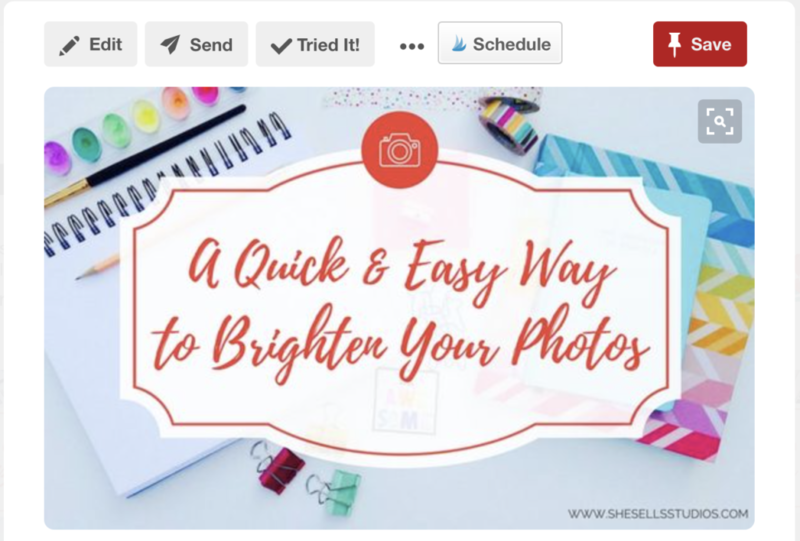 Have you logged into your Pinterest account recently? 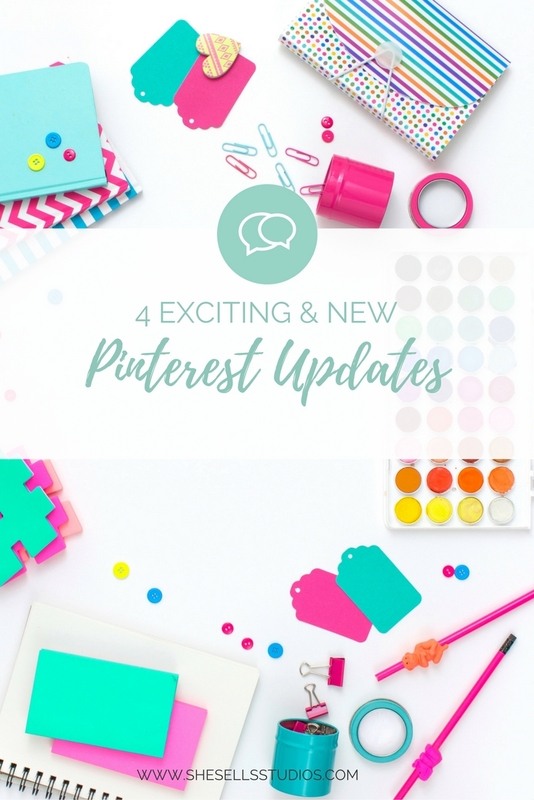 Pinterest has made some exciting new updates and BIG changes! 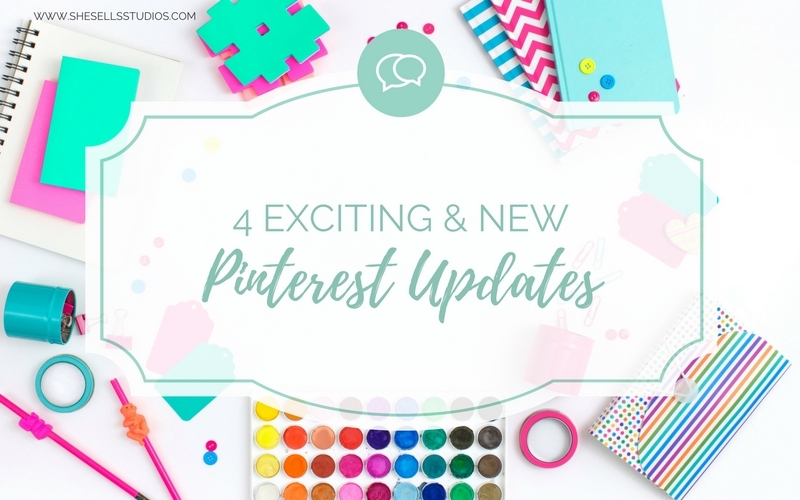 I can’t wait to share the new Pinterest updates with you. I am including photos with examples for you to see what I am talking about. 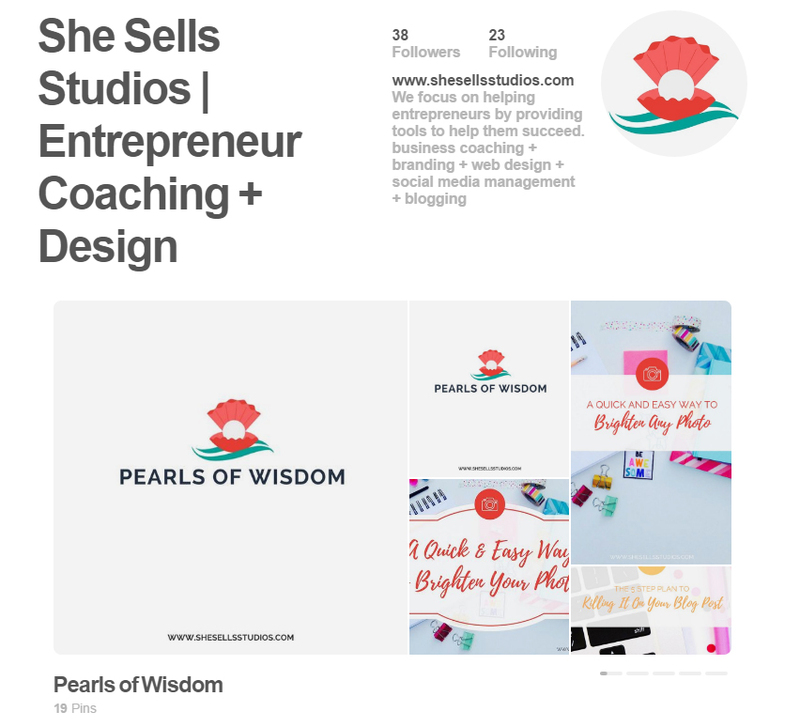 Or you can hop on over to the She Sells Studios Pinterest page and check these changes out for yourself. 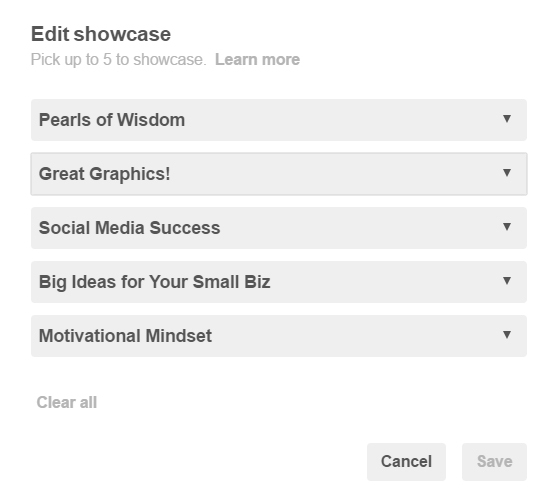 The first change you will notice is Pinterest added a Slider Showcase that features 5 of your boards of your choice. We highly recommend choosing your top 5 boards or the boards that are popular for the current season. You can change your featured boards as often as you would like. The next change you will notice is Pinterest changed the sizes of the boards and the board cover graphics. If you have board covers you will need to resize the graphics to fit the new boards. Tip: The board cover and the first graphic on the upper right are the same image. The reason is because the smaller graphics show what your last pins were to that board. To prevent a double of the cover image you will want to pin 4 additional items after you pin your board cover graphic. The board cover graphics are universally square across all devices and are sized at 200 x 200px. Please note, the cover graphics can be bigger, as long as the graphics are square. 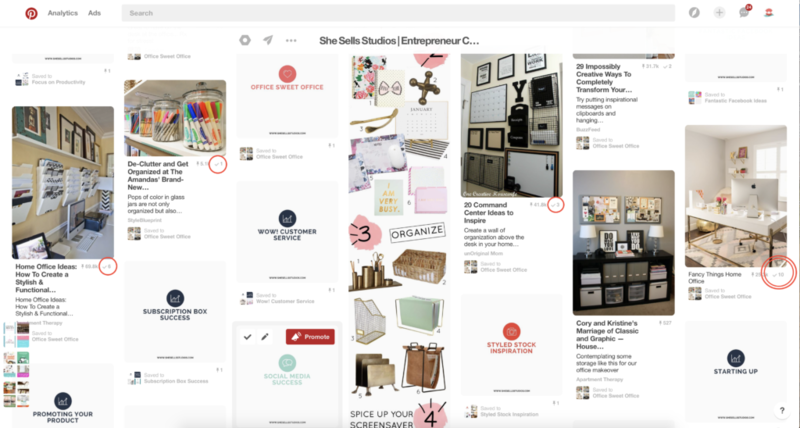 Tip: Board covers help make your Pinterest boards look more organized and appealing. The Tried It! Button is the newest feature I am the most excited about. In order to use this feature, first click on the pin and then near the top you will see a “Tried It” Button next to the Send Button. When you click the Tried It! Button to say you have tried this pin a new window will open. Next, in the new window you can tell others how your experience was. As a result, you can rate the pin with a “Loved it” smiley or a “Not for me” frown. You can also leave a note or tip and attach a photo. 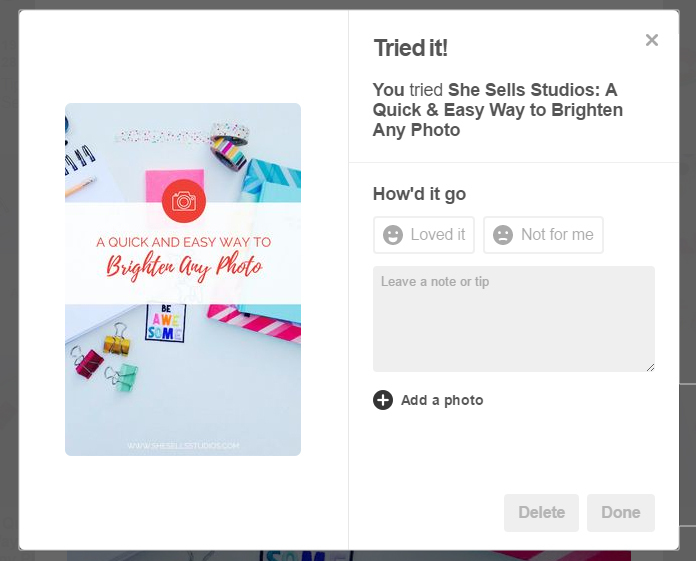 Of course, you are probably asking yourself, “Now where do I find these reviews and the people who have tried it?” Did you notice the little check marks with a number that are now listed to the right of the pin count? The check mark represents having tried it and the number is the quantity of people who have hit the button. All you have to do is click on the check mark to view the people who have tried it and read the reviews they left. Tip: Go in and explore pins that have the Tried It! Button. 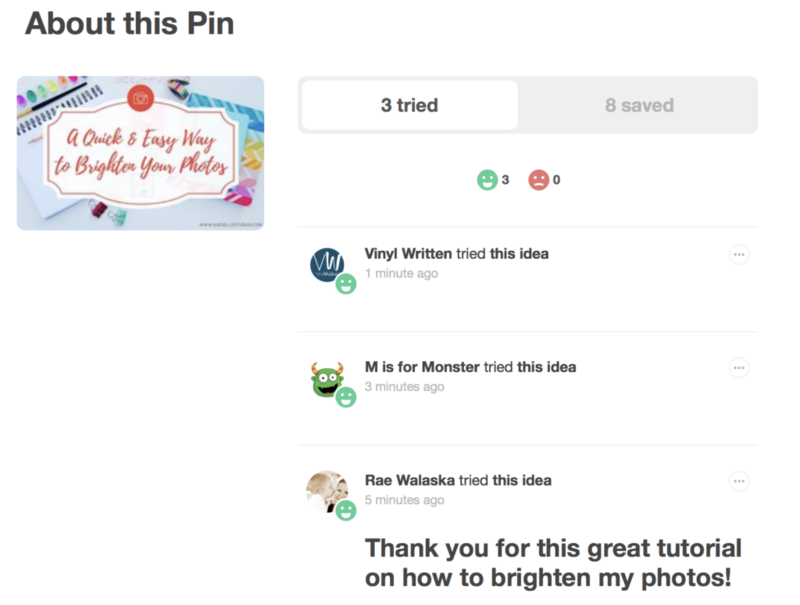 You can even do a She Sells Sister a favor and leave feedback on pins you have tried. What else have you noticed has changed on Pinterest? Which changes do you hope stay and what do you hope goes away? *Please note Tailwind is an affiliate link. By clicking on the Tailwind link you will be provided a 1 month FREE trial and we will receive 1 month of free services! A win-win if you ask us.